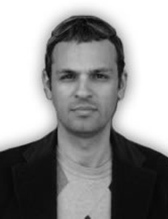 Emmanuel Karagiannis is a political scientist specializing in security studies. He was educated in Great Britain (London South Bank University, Reading University, Hull University) and the United States (University of Pennsylvania). He has taught in universities and military colleges in Great Britain, Bulgaria, Kazakhstan, Greece, Cyprus and Italy. He held research positions in prestigious U.S. universities (Yale University, Columbia University, Princeton University). Karagiannis is member of editorial boards of scientific journals and a frequent commentator on security issues for international media outlets. He has travelled extensively throughout the Caucasus, Central Asia and the Middle East to conduct research and give presentations. European Converts to Islam: An Evolving Threat?